Even an “ugly quilt” can serve a beautiful purpose. That’s the idea behind Faithful Remnants and The Sleeping Bag Project, two charities that enlists the help of quilters to try to help homeless people. In less than a day, anyone can make a quilt that gives comfort to those who are less fortunate. The ladies of the group continue a ministry started by a woman who repaid a debt to a homeless man who helped her in New York City in 1985. The Sleeping Bag Project makes ugly quilts out of any available scrap pieces of fabric. A group can make one 7-foot-long quilt in an hour out of any material. Strips of cloth, made of neckties, belts or skinny pieces of cloth, serve as a way to bundle the sleeping bag in a neat roll. Faithful Remnants, a quilting group based in Bristol, Tennessee, follows the example set forth by The Sleeping Bag Project. Quilters assemble bedrolls from scraps of fabric to deliver to Haven of Rest Rescue Mission, a local homeless shelter in Bristol. Betty Tanksley, who is legally blind, has never missed a quilting session after 10 years and more than 100 quilts. She and her daughter, Peg Staton, help run the show at Anderson Street United Methodist Church as an ongoing ministry to help the homeless in town. The quilts from both Faithful Remnants and The Sleeping Bag Project have no market value, but the pieces serve a valuable function by keeping someone who doesn’t have a home warm at night. On a larger scale, these quilts are a social movement that is a part of American history and tradition. Quilts have served as an artistic expression of feelings, emotions, beliefs, events and issues regarding human rights ever since America came into existence. Quilts on display at Michigan State University show the plight of African Americans throughout history as people fought for equal rights for everyone. In much the same way, quilters in a small city in Tennessee and one of the largest cities in the world try to affect social change one quilt at a time by giving selflessly to those who struggle to survive. 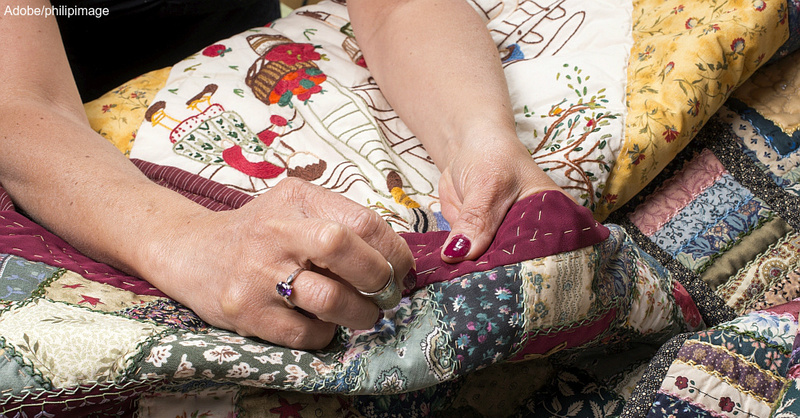 Faithful Remnants and The Sleeping Bag Project are just two charities that take quilting to its highest art form with ugly quilts that serve a purpose. Quilt for a good cause with the help of charities like these.